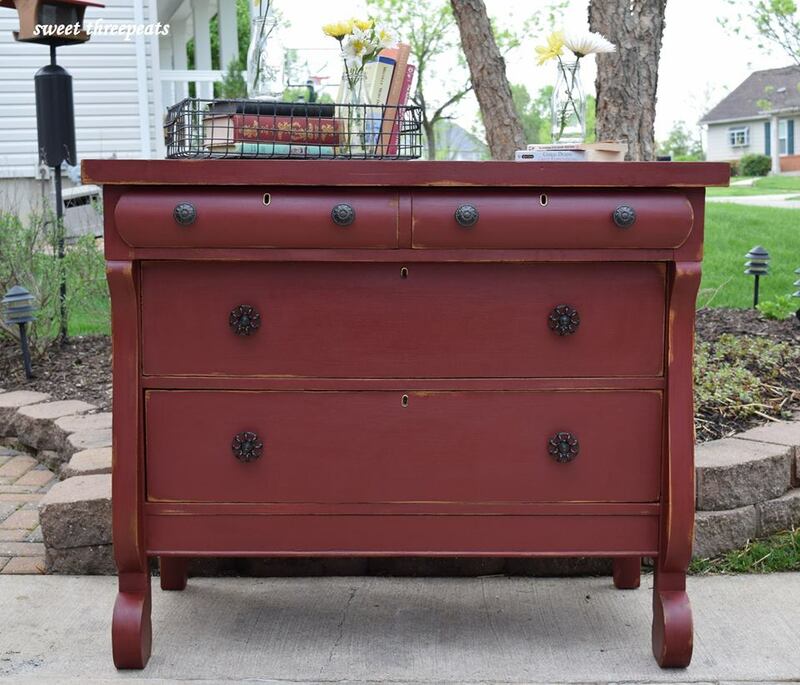 We chose General Finishes Tuscan Red and added dark wax and a bit of distressing. Loving the industrial look of the knobs, which were from Hobby Lobby. I am completely sold on Tuscan Red and you'll see more of it from us for sure! !